Mega Mismagius in game: 36 Who? Important notice! 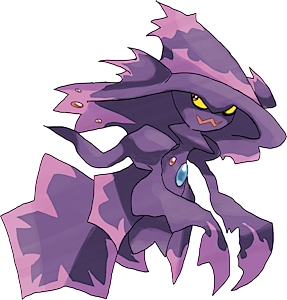 Pokemon Mega Mismagius is a fictional character of humans. 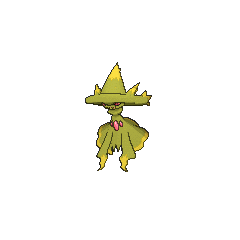 Mismagius (Japanese: ???—? Mumargi) is a Ghost-type Pokémon introduced in Generation IV. Mismagius made its debut appearance in Malice In Wonderland!. A Mismagius made an appearance in Arriving in Style! competing in the Hearthome Collection under the ownership of Pokémon Stylist Cocoa. 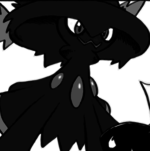 Fantina has a Mismagius that she used in a Contest Battle against Zoey and her Glameow in Playing The Leveling Field!. It reappeared in Barry's Busting Out All Over! and again in A Shield with a Twist, where it was used in the Gym battle against Ash. 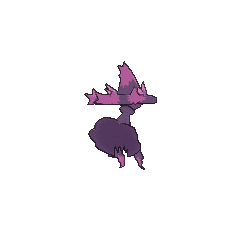 Zoey's Misdreavus was revealed to have evolved into a Mismagius in Coming Full-Festival Circle!, where it was used in the semifinals of the Sinnoh Grand Festival along with Zoey's Leafeon to battle Nando's Kricketune and Lopunny. 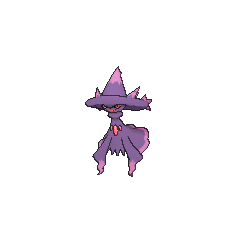 A Mismagius is owned by the antagonist of Zoroark: Master of Illusions, Grings Kodai. Two Mismagius appeared in Mystery on a Deserted Island!. 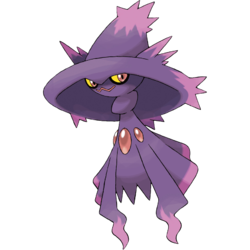 Mismagius was one of the Pokémon Lily used while with Team Galactic. Platinum battled a Mismagius in her Gym battle against Fantina in Round 372 and 373. It was very powerful and shrewdly manipulative using its illusion attacks, and using Trick Room to use Empoleon's speed against it, defeated both it and her Ponyta before Diamond's Munchlax, Lax, finally took it down at the last minute. Mismagius comes before Honchkrow in the Sinnoh Pokédex, but Mismagius's pre-evolution, Misdreavus, comes after Honchkrow's pre-evolution, Murkrow, in the Johto Pokédex. Mismagius is based on the concept of mages, witches, magic, hallucinations, and banshees. Mumargi is a combination of the words ?? muma (nightmare) and magi or mage.